Elle Sees|| Beauty Blogger in Atlanta: NEW Makeup And MORE! And I'm off for my birthday celebration! All the cool kids will be keeping up with me on Instagram and Snapchat. 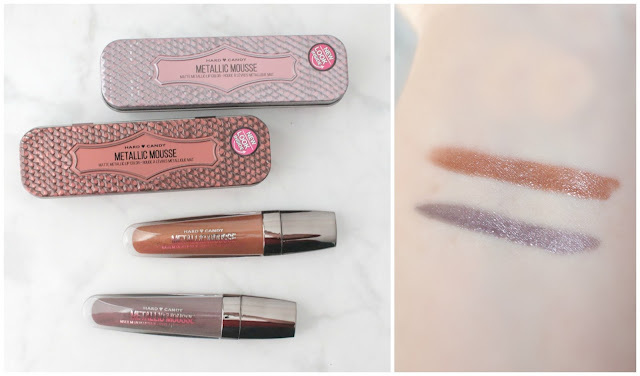 But let's not comment on that, because before I go, I wanted to share some NEW makeup and MORE! LORAC Mega Pro 3-- This year's offering has gorgeous white and gold packaging (prone to makeup fignerprints though) with 2 rows of mattes and 2 rows of shimmer. Mostly neutrals with some surprises thrown in, like the burgundy color. Excellent quality. 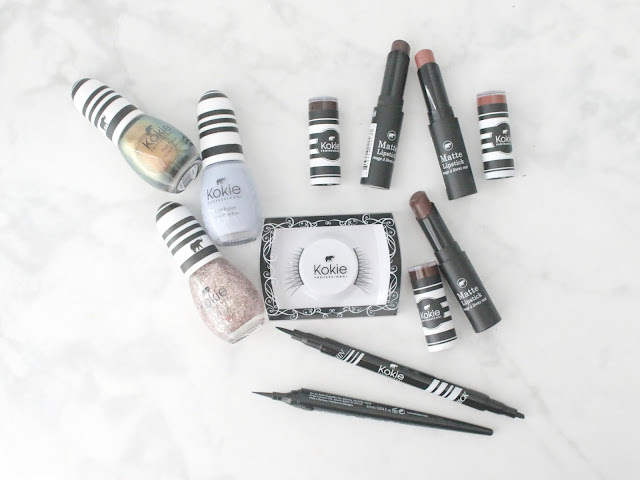 Kokie Cosmetics--This is a new-to-me brand and I've loved trying out a sample of the wide offering of products they have. Bold packaging, beautiful colors, inspired by the runway, but at an affordable price. I really liked the matte lipsticks ($6) and polishes. BONUS: the bottoms of the lips pop off for extra lip balm, like ELF ones. You can find them at select Bed Bath & Beyond, Harmon, and Christmas Tree stores or Kokiecosmetics.com. This is just a little bit of what they have, so please check them out! 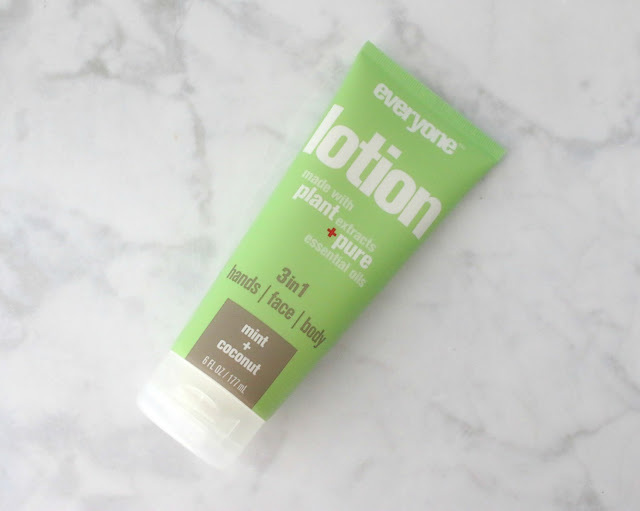 Everyone™ 3-in-1 Lotion--3-in1 lotions are light enough for your face and moisturizing enough for your hands and body. They're formulated with a blend of Coconut Oil, Sesame Seed Oil, Vegetable Glycerin, Vitamin E, Rice Proteins and aroma therapeutic essential oils. The scents include Apricot + Vanilla, Lavender + Aloe, Mint + Coconut, Cedar + Citrus, Coconut + Lemon and Unscented. I had mint+coconut. It was very minty at first but then faded to a soft coconut and I didn't smell like sunscreen, so it was a nice change. Ashley Tisdale Illuminate Palette in Beach Goddess--12 Eye and Cheek Colors from Ashley's collection for BH Cosmetics. I was really impressed with this palette and will be taking it traveling with me. It's so pretty on too. Online only at ULTA for $14.50. There is another palette and some lip colors as well. Definitely worth checking out. Paul & Joe Makeup-Have you heard of or tried this brand? This is a French beauty (and clothing) brand that features retro packaging of some really awesome products. In the upper left-hand corner, you'll see their Gel Foundation (80% water) and their PROTECTING FOUNDATION PRIMER. The primer was a little light for me, but really good, as was the gel foundation. Next up is the powder and then the blush. How cute is the limited edition packaging with Bugs and Tweety? Try beautyhabit.com for this luxury brand. 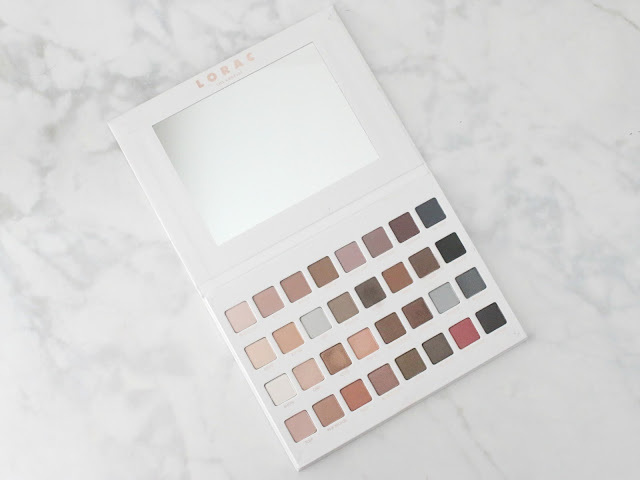 I LOVE Lorac palettes and this one looks so gorgeous! Also, I'm going to need that NYX collection. It's going on my Christmas wish list now!! Happy Birthday! Enjoy your time at Disney! I intrigued by the Everyone lotion. I love makeup that multi-tasks! Have a wonderful weekend celebrating your birthday! Can't wait to follow along! Also, I'm going to check out this 3 in 1 lotion next time I'm at Whole Foods. Love that you can use it for your face, hands and body and what a great price! Thanks for sharing, Elle! Ashley Tisdale has a makeup line?!?! I am so behind the times! And love Paul and Joe makeup. I've only tried a few products from that line, but love all of them! um the packaging of the paul and joe makeup is GORG. and i need to try those sheet masks - you know i love them too! great finds - many i haven't heard of! have a great weekend celebrating your birthday!! That's a lot of new products! I love the Nyx set and need to check out the illuminator palette. Thanks for sharing and happy birthday weekend! love that sweet face mask packaging! have a great trip! Happy Birthday girl!! I have to say that I love the packaging of the Paul & Joe make up!! That LORAC palette is so pretty! And that Ashley Tisdale palette is a great deal, haven't tried that brand. I have never heard of Paul & Joe but that packaging is so cute!!!! I really, really want to try that LORAC palette - it looks amazing! And I hope you have just the absolute best time on your birthday trip. Look at Sylvester & Tweety - that's so cute!! Hope you have the best birthday weekend EVER! These are a great bunch of brands and products, I'm not familiar with a couple of them too. So much good stuff! I used to love Paul & Joe clothing and their makeup is pretty fabulous too. Happy Birthday Elle! Have a blast celebrating! That lorac palette is so pretty. Have a wonderful birthday!!! Hope you have a great time celebrating. Is the Glov Makeup Remover good for just a couple of uses? Or do you wash it and keep using it? I'd be interested in trying it! Hope you have a great time celebrating your birthday!!! The Lorac Mega Pro 3 is def the show stopper for me. Can't wait to see your review of this! I tried out a Hard Candy Matte Liquid Lipstick and liked it and these metallic ones look nice too. Have a fun birthday weekend! These all look so fun--the Lorac palette looks like it has gorgeous colors, and the NYX lip cremes...whoa! So many colors!! i didn't know ashley tisdale had a makeup line, how interesting. very odd that both that and the lorac are white, i definitely feel like it would be prone to makeup smudges like you said. that vault is AMAZING value!! what a great idea for stocking stuffers/gifts for girlfriends. Very nice array of products! I got a Glov mini in a Glossybox, and it's nice! I really like the packaging of the Kokie products. Have a great birthday weekend! So many goodies! the Lorac palette is gorgeous, and so is that BH palette by Ashley tisdale. I'm super interested in that glov makeup remover! So many new pretties! I just reviewed the Lorac palette on my blog today and I'm obsessed. That Ashley Tisdale palette also looks gorgeous. 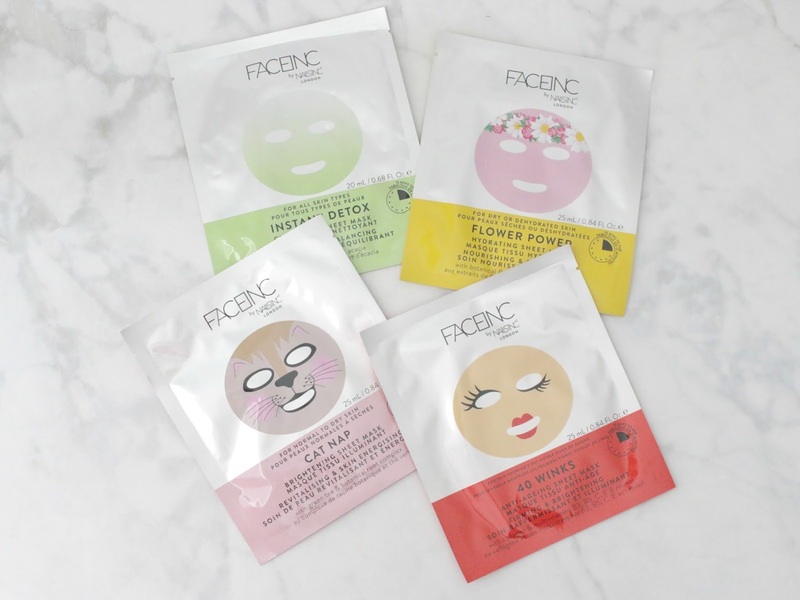 I had no idea that Nails INC sold sheet masks-- def have to check those out too! Paul & Joe always have the most creative packaging. I'm always swooning over them and yet I have no idea why I haven't tried anything. Anyhoo, Happy Birthday! I hope you have the most amazing weekend. So much loot! That Kokie cosmetic brand looks so cute! And I love the NYX line...best matte lipstick ever! 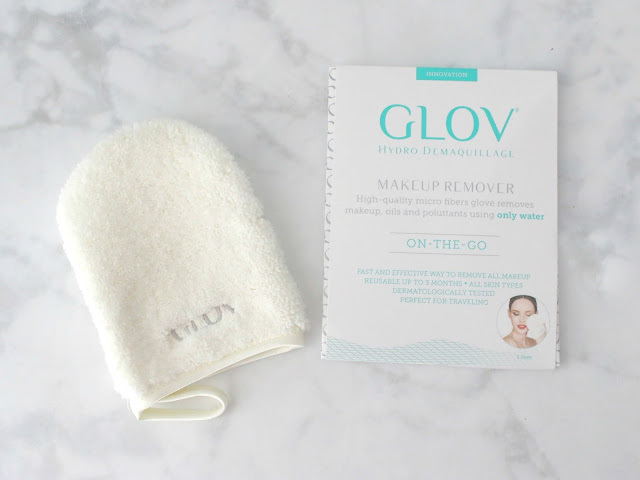 I am so intrigued with the Glo on the go makeup remover! You'll never have to worry about spilled cleanser in your suitcase again! Have fun celebrating your birthday! I just followed you on Snapchat so I can be one of the cool kids lol. I might need that NYX vault in my life! I need the Lorac Mega Pro 3 Palette!! I'm currently having a Fresh Sugar Rose Lip Treatment giveaway and will have a new giveaway every Friday with products from UD, Too Faced, Fresh, Hourglass, Buxom and more. You should come check it out! So many great products. The Ashley Tisdale palette looks really pretty for everyday. Have a great birthday holiday!! 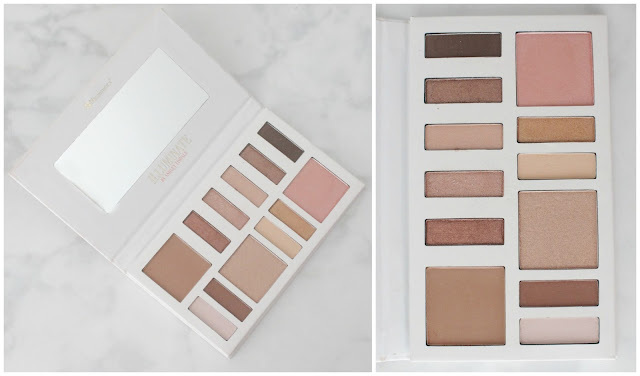 The Ashley Tisdale palette looks like it's right up my alley..! My sister just gave me that polish! She got it in her Ipsy bag, but where she works, she can't paint her nails. I'm excited to try it. I saw the Ashley Tisdale palette on your snapchat and it looks really nice. Hope you are having a great birthday celebration! So many nice things, how amazing! Let me see if I remember all - I normally think that if I remember, it's because it really drew my attention! So, I would like to try the Lorac palette, it looks great! Kokie is also new to me, would love to know about it. I am in looove with the masks - so sweet! and the NYX lip set - and the price yes, not so cheap, but worth much more! I would really love to get that kit! Hope you have a lovely trip - and that tomorrow is a special day!